2014 has been a very good year. I am thankful for so many things. My friend, Susan Spellman Cann, school counsellor (it's supposed to be spelled like that. She's from Canada, ehh) challenged me to find 10 things that I am thankful for. While I am still working on that project, I thought I would do my top 10 professional reflections for 2014. 10. 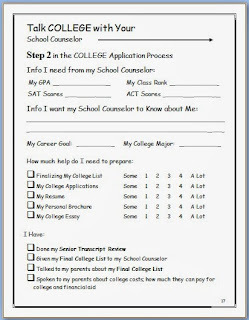 College Planning--I may be a middle school counselor now, but I just can't get rid of the high school counselor in me. I love being to help students plan for college. Occasionally, I will still have some of the high school students come to the middle school to have me help them with their college essay or college search. I enjoy hearing their plans and goals as they think about their future. I think it is awesome to really listen to what they want and help them find a path that will lead them to their goals. I am proud of the resources I have put together over the years that still help students today. It takes time to search for colleges and apply, but it also takes time to learn to help students through this process. For those of you that are new to the school counseling profession, don't forget that learning is an every day occurrence. To be great at something takes time, it doesn't happen overnight, or even after a month or a year. Like applying to college, your profession is a process, and you grow as you go. Here's a link where I share more on the subject. 9. Middle School-- I have 3 boys, twins in 5th grade and one in 7th. Being in the middle school is great. We go to school together, see each other during the day, and go home together at night. While some people might hate this, I love it. I especially love when my 7th grader sees me in the hall and stills says, "Hi Mom, Love ya." That is definitely the best. 8. 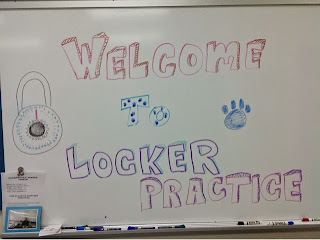 New Traditions--While this is my third year at the middle school, and my first year I had a 4th-5th grade orientation, last year, I really put together a program that I want to continue in my future years. I put together a Field Trip to 5th Grade. I trained the 5th graders to be tour guides and had the 4th graders come and spend a few periods with us. 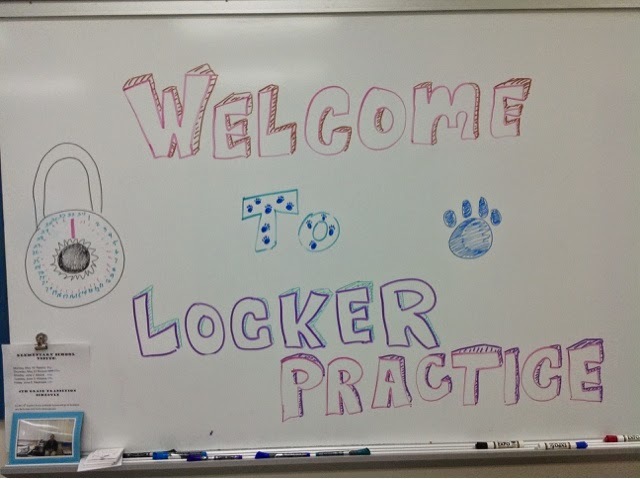 They ate lunch, practiced opening locks, and had a tour of the school. 7. Videos--I really love making videos with the students. They have such great ideas and much passion for really great causes. They really want to end bullying in school, they really want everyone to be treated fairly, and they really want their voices to be heard. Making videos with students is powerful. Here are some of my favorites. 6. Lunch Bunch--The highlight of my day. These students work hard to make the world a better place. They are the stars of the movies above, and are always eager to try somethng new. They teach me as much as I teach them. We have had a lot of great lessons, laughs, and conversations. Here is the last activity of the year we did together. 5. Learning--I learn every day. I am always reading, looking at Pinterest, checking out Facebook, taking a class, or going to professional development opportunities. I said earlier that beginning your career as a school counselor is a process. 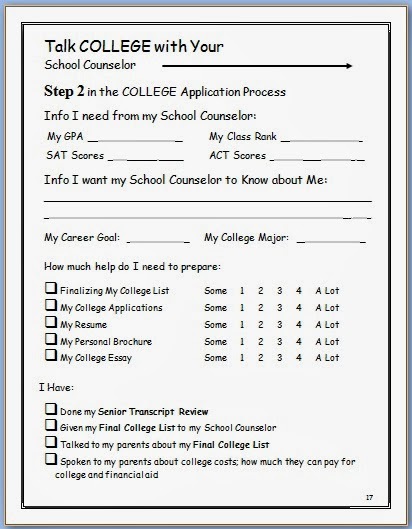 Building your school counseling program is a process too. I have been a counselor for over 20 years and I am still building mine. I hear from new counselors all the time who have been working for less than a year and are being hard on themselves because their program is not defined. Even with planning and creating a master program calendar, doesn't make it all come together. You have to put your words into actions and then evaluate. This is where DATA comes in handy. DATA. . .you know that 4 letter word many of us hate?!! Data allows us to see our successes and our failures, and lets us know what we need to change and what we need to keep. That reminds me, I am taking advantage of the ASCA U School Counseling Data Specialist course. In addition, this year I have also finished the ASCA U Bullying Prevention Specialist course and the ASCA U Leadership Specialist Training. 4. Presenting at ASCA 14--This was definately a highlight for my year. I met so many wonderful counselors and counselor educators. I was inspired beyond my wildest imagination. 3. Social Media--Social Media has helped me to grow as a counselor. I have learned so much. Facebook, Pinterest, and Twitter have been great "Go To" sites. Caught In The Middle School Counselors Facebook Group has been a really great undertaking. I am proud to think that this is where all the school counseling Facebook groups have spawned from and the growing number of counselors who are continuously joining have made it an amazing resource for counselors around the world. 2. StarBound--This is the name of the book that I am working on. It will be published by LightHouse Publishers in 2015. It is a curriculum resource book to empower girls. It has taken me most of the year to write it and put it together and now we are on the home stretch of making this dream a reality. I can't wait to share it with all of you. 1. 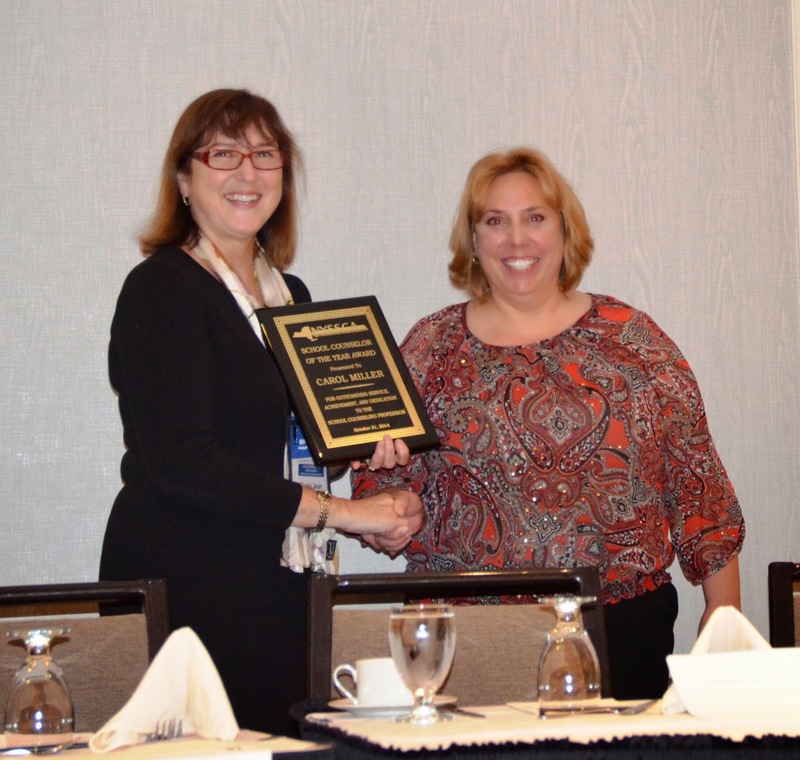 NY State School Counselor of the Year Award--I can't believe I was nominated by a counselor I met online throught Caught In The Middle School Counselors and in person at the ASCA Conference. This confirms the power and magnitude of possibilities of the importance of connecting with others. So now that 2014 is almost over, what are you thankful for? Today i assign uk essay service ukessayservice.biz for write a good essay for the student. My friend said me now they are writing fantastic essay for the student. I think they will help me to write a essay.